Dr Oby Ezekwesili, Presidential candidate of the Allied Congress Party of Nigeria (ACPN), has stepped down from the presidential race. 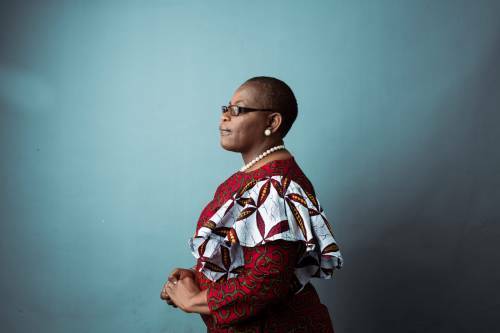 Ezekwesili said her decision to step down followed the reactions of Nigerian citizens at home and abroad to the 2019 Presidential Debate held on Saturday, 19 January, 2019, and that after extensive consultations with leaders from various walks of life across the country over the past few days, she had decided to step down from the presidential race and focus on helping to build a coalition for a viable alternative to the APC/PDP in the 2019 general elections. Following the decision by Dr Oby Ezekwesili, the presidential candidate of the Alliance for New Nigeria, Fela Durotoye, has said he is ready to sacrifice his ambition too, in order to ensure a coalition candidate emerges in the presidential election. He urged other candidates not to let the opportunity of working together to create history slip by and if the process produces any other candidate, he is willing to step down. However, in a twist of event, the Independent National Electoral Commission says it is too late for any candidate to withdraw from elections. The Director, Voter Education and Publicity, Oluwole Osaze-Uzzi, said this during a chat with Punch’s correspondent on Thursday. He said this while reacting to the withdrawal of the Presidential candidate of the Allied Congress Party of Nigeria, Mrs. Oby Ezekwesili and the gestures of others. In a post published by SelahAfrik on the 22nd of January, 2019 titled: “2019 Presidential Debate: What Buhari & Atiku’s Absence Should Teach Nigerians,” we said the only way to beat the status quo which has been created by APC/PDP is for the other candidates to form a coalition, it is good to know that we are not the only one who share the view. “Also, alliance as opposed to competition can also provide a strong backing for the new parties if the status quo will change. Instead of having A, B, C who are fit for the job under different political parties and competing against each other, why not come together under one umbrella, put resources together and push out one candidate? That way, maybe we will be able to challenge the power and influence of the 2 almost indomitable parties.” – Alex Amos (2019 Presidential Debate: What Buhari & Atiku’s Absence Should Teach Nigerians – 22nd, Jan. 2019).